Geology relates to interdisciplinary or seemingly unconnected topics, which, at first glance, might seem like they have nothing to do with geology at all. 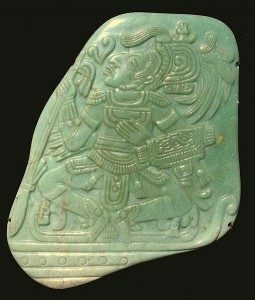 Here look at the pre-Columbian Maya Civilisation, partly inspired by a story on the discovery of a large Mayan sculpture in a Guatemalan archaeological site. In an article in National Geographic, it was suggested that volcanic ash had been ‘spectacularly important’ in Mayan agriculture. Recently scientists discovered a distinct beige clay mineral, a type of smectite (the same mineral recently found on Mars! 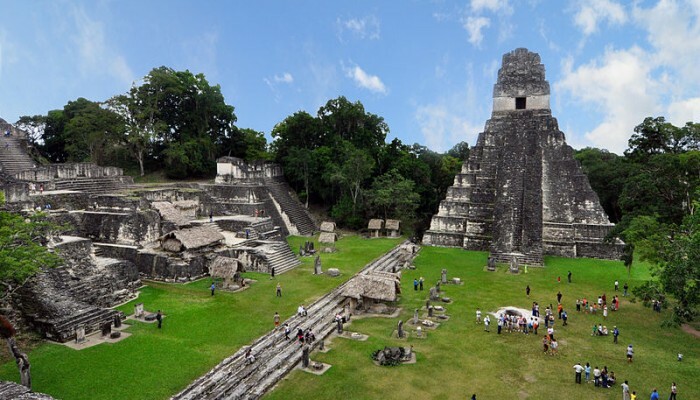 ), in ruined canals at Guatemala’s Tikal archaeological site—once the largest city of the southern Maya lowlands. Chemical fingerprinting techniques were used to show that the smectite at Tikal didn’t come from dust carried over from Africa by air currents as previously thought but from volcanoes within what are now Guatemala, El Salvador, Honduras, and Mexico. The volcanoes in this region are produced by subduction of Pacific oceanic crust beneath the North American and Caribbean Plates. 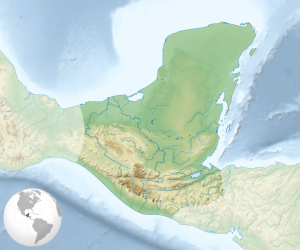 Volcanoes also brought their fair share of disaster to the Mayans. A village in El Salvador was completely buried when the nearby Ilopango volcano erupted in the 6th century A.D, not unlike the more famous Mt Vesuvius eruption in 79 AD, which buried the cities of Pompeii and Herculaneum. 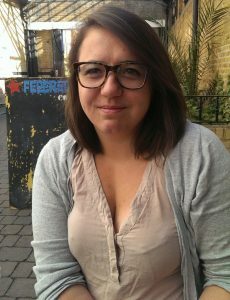 In 2012, a third set of palaeoclimate data was published in Science by Kennett and co-authors. They measured oxygen isotope data in a cave in Belize. 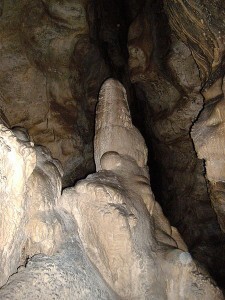 Cave deposits such as stalactites and stalagmites grow as water drips through the cave. The oxygen composition of the rainwater is reflected in these deposits and they provide a very high-resolution record of precipitation. Yet again, a dryer period was recorded between 660 and 1000 AD, during the collapse of the Maya Civilisation. Originally published by EGU Blogs under the terms of a Creative Commons Attribution 4.0 International license. This entry was posted in Geology, History, Maya. Bookmark the permalink.